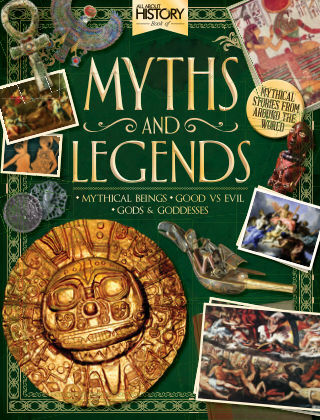 With Readly you can read All About History Book Of Myths & Legends and thousands of other magazines on your tablet and smartphone. Get access to all with just one subscription. New releases and back issues – all included. Explore the world’s great myths and legends, brought to life in this enthralling retelling of age-old stories passed down from generation to generation. Unravel the meaning and context behind the myths, understand their cultural significance, and discover the characters and themes. From heroes of ancient Greece to the dreaming or Australian aborigines, here are the myths that, thousands of years after they were first told, are still relevant today. Featuring: Classical Mythology - Learn the truth behind the classics from Poseidon to Athena. Heroes and Heroines - Explore famous fables from King Arthur to Aprodite. Relive Ancient Stories - Iconic tales from around the globe brought to life. The Meaning Behind The Myths - Discover the role they have in today’s world.